Open Water At The North Pole | Watts Up With That? 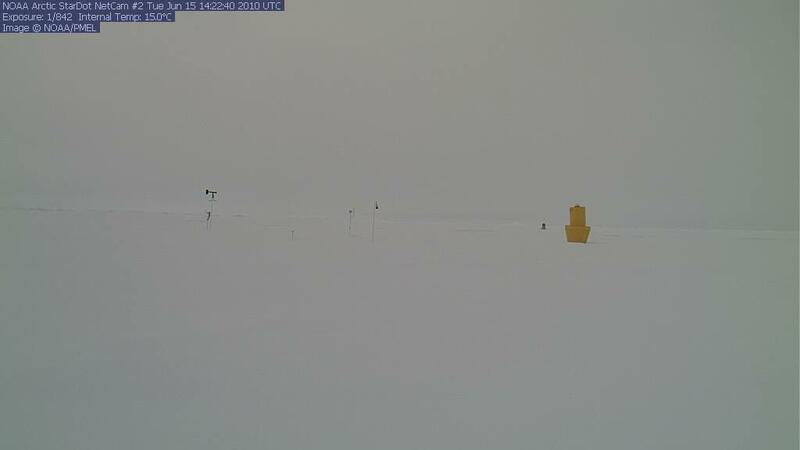 We have been watching temperatures and webcam images closely at the NOAA North Pole drifting weather station this year. Except for a few days in early July, they have looked like the series of images below – snow, ice and clouds. No open leads and little or no surface meltwater. It hasn’t always been like this. John Daly did an excellent writeup on this topic a few years back. 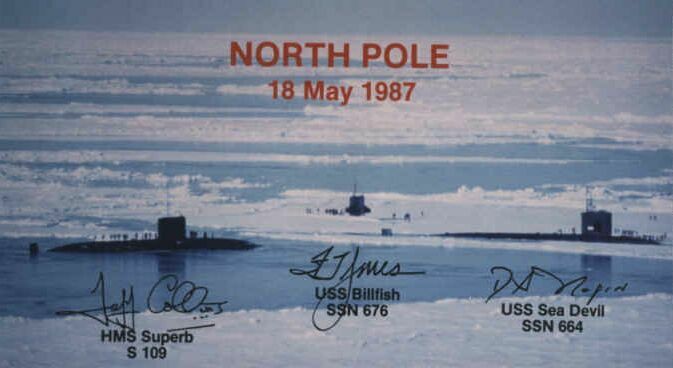 During May of 1987, Navy subs arrived at the North Pole and found lots of open water. The thick ice that has for ages covered the Arctic Ocean at the pole has turned to water, recent visitors there reported yesterday. At least for the time being, an ice-free patch of ocean about a mile wide has opened at the very top of the world, something that has presumably never before been seen by humans and is more evidence that global warming may be real and already affecting climate. The last time scientists can be certain the pole was awash in water was more than 50 million years ago. 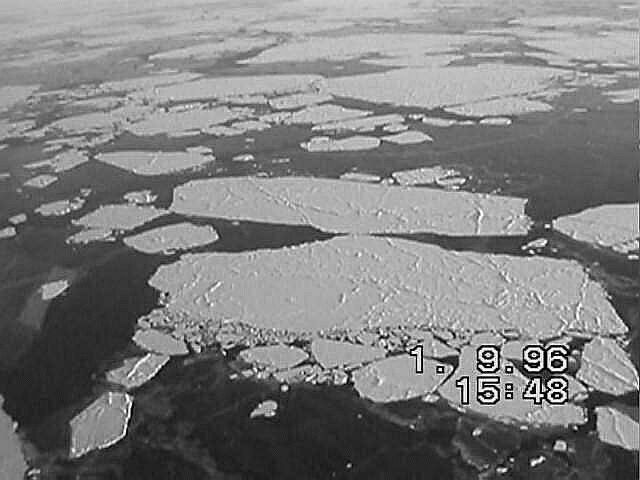 The image below from September 1, 1996 shows what summer ice typically looks like in the Arctic. Lots of open water between the ice. That is why places like NSIDC report extent as regions which have more than 15% ice concentration. The location below would be considered ice covered by NSIDC. Sadly, UIUC seems to have “lost” their archive of ice concentration maps. It has been offline for two weeks now, so we can’t use that valuable resource for the time being. I wonder what’s up with that? The north pole issue: Back in June, there was some coverage about the possibility of the North Pole being ice free by the end of this summer. This was based on recognition that the area around the north pole was covered by firstyear ice that tends to be rather thin. Thin ice is the most vulnerable to melting our in summer. I gave it a 50/50 chance. Looks like I’ll lose my own bet and Santa Claus will be safe for another year. There was indeed some coverage a some years back of an open north pole (and I was interviewed). This opening, however, was pretty clearly causes by unusual winds breaking up this ice, and not from melting out. And yet, in 1959 the US Navy reported ice less than two feet thick at the North Pole. North Pole ice is probably 2-3 times as thick now as it was a half century ago. The Navy knows ice and ice thickness – that is why I trust Navy PIPS over academic models like PIOMAS. Our global warming friends seem to believe that the Arctic data set began with satellites in 1978, and they appear to have difficulty interpreting even that time period in an objective fashion. Satellites (unfortunately) came on line right at the start a period of warming, after 30 years of cooling temperatures and dire forecasts of an impending ice age. Video of rising temperatures during the satellite era. August 3, 2010 in Arctic, Sea ice. At a public meeting about climate change, I told a polar explorer about the open water in the Arctic in the last century, and he dismissed this as a myth. Thank you for these hard facts. A simmilar thought occurred to me the other day as news of a small rubber raft being floated between large chunks of ice into the McClure Straight to find the 150 year old wreckage of the HMS Investigator from 1854 that had been sent to find the remains of the Franklin Expedition from 1845. Just how did those big ships get around by sail on all that never before melted ice at the top of the world? Considering the Investigator did indeed sail the NW passage and the Franklin Expedition got at least part way I’d say there is pretty good eveidnce of melt in the mid 1800’s. You can see the melt ponds freezing up in that year as well at this time, in fact even more so. Is that ice-covered melt-water or melt-water sitting on ice? I wanted to make a humble donation to the Tip Jar, but it seems to have no option for non-US tipsters. How do I go about it? Exactly. 2007 was a wind compaction event – much more than the melt event it was advertised to be. All ice, with some fresh snow or frost on top. Funny thing, the exact opposite occured in the Antarctic, where 30 years ago they were crying foul over the impending loss of all sea ice. And, doggone it, that darn Antarctic Sea Ice just keeps on trucking ever larger each year. What’s more, the trends are polar opposites until 2007. Then they appear (so far) to be back on the track to convergence. Joe Bastardi seems to think that the both of them (A+Ant) are now rising. Joe’s eagle eye never rests. He’s right, because that is what they have been doing the last 3 years. It’s enough to drive a warmist to drinking. Send them a AAAA card (A+Ant Aholics Anonymous) for the next meeting. shows the ponds freezing in with new ice. It’s worse than previously Arctic thought. So if global temps are rising, and this year is claimed to be the hottest on record, then why doesn’t the Arctic ice seem to know this? Or do El Ninos lead to warmth at lower and middle latitudes, but cooler near the poles? I would think that a high pressure cell centered over the North Pole could produce radial dispersive out-flowing winds and compressive dry-rate adiabatic heating of the air as it descends. This combined with 24 hr/day solar illumination might very well produce patches of open water there. Please check the littblack “thing” in the background near the yellow cone. It is move from early on in the sequence. This means there is diconnected ice between foreground and background. Because of the angle you cannot tell the size of the gap. Something is very puzzling. I looked at both NOAA cams and all seems to be boring. 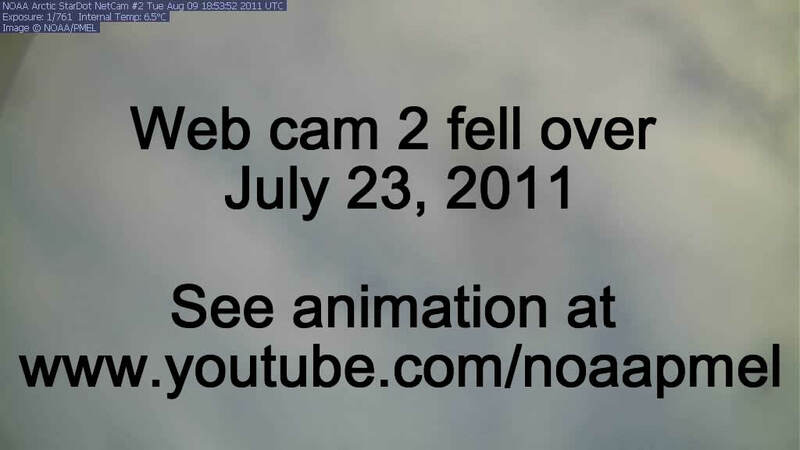 But a sister website referenced in these margins (solarcycle24.com) has this still photo from NetCam #2 Tue July 27 00:54:08 2010 UTC clearly showing a submarine. This is a fine example how to encounter the AGW propaganda machinery. HA HA HA!! Anthony, my UIUC is flat broke….thanks to the fiscal shenanigans of our various imprisoned/soon-to-be-imprisoned governors, the State of IL owes UI close to $0.5 B! No telling what happened to the images, but it probably was a typical UIUC goof-up. Odd, since our Library Science division is supposed to be one of the best in the world. If I find any lying around, I’ll send them to you Fed-Ex. Yeh, I bring up the submarines from time to time to our warmista friends, but as noted above, many write it off as a myth. History revision isn’t confined to temp data when it comes to warmistas. It’s good to have the information with pics posted from time to time. Thanks guys! Maybe you should read about Nansen’s expedition 1893-1896 to learn something about ice in the Arctic. Did you say ants? Maybe we should all eat them, and save the Earth from Global Warming! Does this link provide the UIUC data that you were referring to or is this for some other type/level of data? 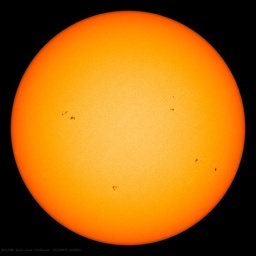 Sorry, the photo from solarcycle24.com seems to have been photoshopped. – not much freezing going on there. In fact studying your picture more closely, I don’t think the ponds there are frozen either. Most of the graphs are returning to the 20 year “norm”. Arctic Basin graph is interesting. People who think the ponds aren’t frozen, probably are not very familiar with what frozen ponds look like. Sorry about that. My fault. Donation has now been made. To me it looks like wind-driven snow on the surface of the melt water pond. Anthony, I think they meant open water in both winter and summer, but they found ice 2 feet thick only that winter. correction: returning to the 30 year “norm”. The missing UIUC link has 30 years of archived images. It just disappeared two weeks ago. 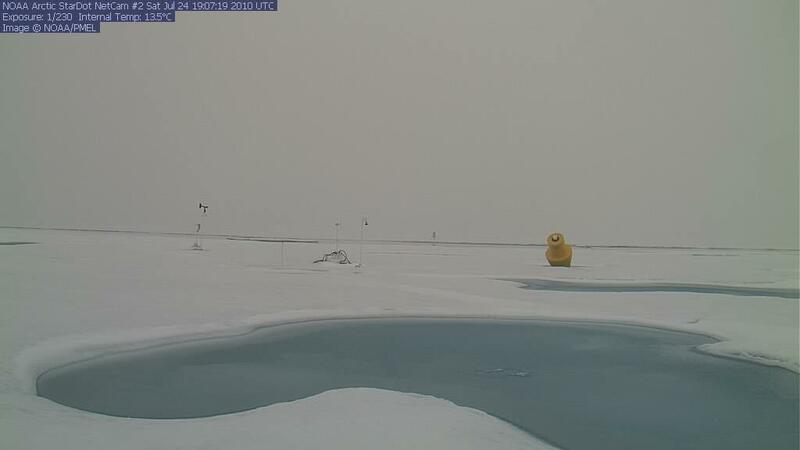 If you look back at the history of that melt pond it was unfrozen in June but since the beginning of July it has been frozen over and is progressively being covered up by snow. It has snowed several times in July. 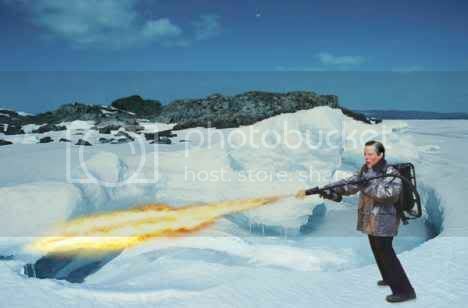 I think that AGWs should take some photo shop classes. Is that the best you can do? How about a Polar Bear mopping his brow? Yoshihiro Tchibana, an Earth environmental meteorology professor at Japan’s Mie University, said broiling summers due to anticyclone seem to arrive roughly every 10 years. Japan’s Meteorological Agency further elaborated on the anticyclone theory. The agency said the westerly wind, which usually rounds the Earth along a oblique route. However, it made an unexpected turn towards the North Pole in early July, leaving much of the middle-latitude zone in the boiling heat. Shotaro Tanaka, scientific officer at the agency, said besides these hot middle-latitude areas, oceans and underpopulated regions are rather cool, adding that not the entire globe is warming up. Jay Lawrimore, chief of climate analysis at the federal National Climatic Data Center (NCDC), said El Nino is also behind the scene. The phenomenon refers to warm ocean current that flows along the Equator from the date line and south off the coast of Ecuador at Christmas time. Although El Nino has ended this year, it has caused the warm weather in Pacific Equatorial area and abnormal heat worldwide, he said. Whatever the causes, these experts agree that they should take various meteorological elements into consideration against the backdrop of climate change, so as to draw a comprehensive conclusion. It amaze me that it is big news that there can be big open areas in the ice in the arctic? That was in 1925, with BIG Dornier flying boats. Kind of a high angle shot compared to all the other N Pole cam shots don’t ya think? Get another with a sub in it! Goody, I’ve been itchy to refer to a post made over at RC on the thread entitled “An Icy retreat”. This poor commentator, obviously with much time on his/her hands had this to say “..I recently discovered the North Pole Cam. It’s fascinating beyond belief to me that I can spend a part of my day basically watching the North Pole melt in real time using graphs, animated graphics, and even actual North Pole time lapse footage. It fascinating and frightening that it’s happening, and it’s fascinating that I can watch. 20 years ago it was amazing to watch the first Gulf war in real time. Now it’s the Arctic.” Man I thought, fascination is one thing – but that must be like watching grass grow – or smoking it and then watching it grow. But hey, each to his own. No open leads and little or no surface meltwater. Except for the lead that opened up on ~26th May and been there ever since in one form or another. One must understand that energy policy advocacy is a very tough business. Official historical reports and actual observed data regarding Arctic sea ice are not always helpful in supporting their mission. Better to enlist the much more consistent and reliable accounts from the MSM. An “enlightened” acquaintance of mine is convinced that Arctic sea ice has fully melted out every summer since 2007 and nothing I say can convince her otherwise. I kid you not. Why did you not also show this one from today showing the refreezing. 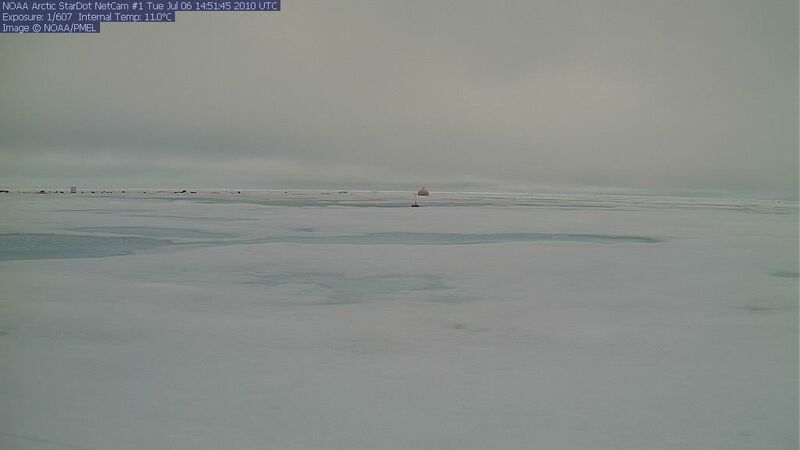 Another point to bear in mind about the North Pole webcam is that it was near the pole some time ago but has now drifted some 150 nautical miles south of the pole heading towards Svalbard. It is at least 100 nautical miles nearer Greenland than it was and will inevitably be experiencing colder conditions if the wind comes from the direction of that enormous lump of ice. I was watching a drama on BBC1 tonight called The Deep about a polar submarine adventure. As the ship headed to the north pole through the melting ice the dialogue was as follows, “This will all be gone in 10 to 15 years”. That’s the good old BBC for you and the right-on producers/script writers etc still plugging away with the same old mantra. Actually, I think the ship was at the north pole at the time. Couldn’t quite follow the crass plot after that, it was all so banal. Sigh. Someone correct me if I’m wrong, but don’t all these pics simply indicate that in the last several years the tendency has been for the ice to be compacted instead of dispersed? Since currents and cycles come and go this would all go to show that what we see in the Arctic is not all that significant. However, for some strange reason, I can’t keep from checking on it most days!! Looking at the current sea ice maps one can see deep penetrations of partially open (non 100%) coverage… if has been fascinating to watch these intrude. The comparative picture with former years is stuck on 7/22, before these tendrils intrude so it is difficult to compare. One thing I do see is a large chunk of ice poised to the NE of greenland, which would seem to be vulnerable to ejection from the basin given the “right” winds. This would prove nothing w.r.t. global warming, of course, but could easily lead to a record low. Not to argue with SteveG, but the 2007 loss seem to be more of an ejection of ice from the basin where (shocked face) it melted in warmer waters. The animated gifs of the flow south along the east coast of Greenland in 2007 is quite amazing. It may also depend on the time of day. The temperature is skating close to 0C so you may see a bit of freeze/thaw. No iPhone myself, but I understand the new “Our Climate” app is for just such occasions. Now would it be possible for iPhone to have a link to lists of top WUWT posts on all the main CAGW issues? At the North Pole, there isn’t any time of day. Just a gradual six month progression from solstice to solstice. It is ice-covered melt water sitting on ice, a melt pond that got snowed on and froze over while it was snowing. The text says it landed in a open area, which later closed, so one of the flying boats was lost . You can see water behind the men there. Not only Photoshopped, but poorly done at that. If you look at the picture with the submarine you can see that the shadow on the sum is on the oposite side at the shadow on the yellow cone. It sure looks photoshoped to my untrained eye. That could be. Or, they are seeing what they want to see. Does that sub know it’s on camera? Anyone a clue as to which nation? So if global temps are rising, and this year is claimed to be the hottest on record, then why doesn’t the Arctic ice seem to know this? Or do El Ninos lead to warmth at lower and middle latitudes, but cooler near the pole. It is vacation time. Arctic did not get the memo. I have been reading a book titled, “Polar Aviation”, Edited by Lt. Col. C. V. Glines. #629.1309. It’s a compendium of stories in the Explorers own words. It talks extensively about open water within 50 miles of the north Pole in the early 1900’s. Definitely an interesting read. SteveG — thanks for the ref. While I see the thickening, the animation shows that squeeze against NW Greenland that is thickening that section of the ice is pushing a goodly bulge around and down the E coast of Greenland as well, is it not? Comon! Do we hafta cancel Armageddon? I was planning a party and everything. Why are you arguing about the pictures taken 3 years ago???????????????????????? Yes, by amazing coincidence this sad occurrence followed just a few days after WUWT began posting the 2007/2010 comparo pictures on the new Sea Ice page. I have tried writing them in the past at the email addresses they provide –I’ve yet to receive a response (yes, I’m very polite and respectful in my queries). Next time a warmist point at a large patch of open Arctic water show them this. Sensible Heat Polynyas form when deep, relatively warm (~2oC) water is upwelled towards the surface where it melts the ice cover or prevents ice from forming. Latent Heat Polynyas form in areas where ice is transported away by winds or currents as soon as it is formed, thus preventing a consolidated pack from forming locally. Sub picture was photochopped in. Around May 24, there appears to be at least a crack that allows the buoy in the background to start moving relative to the buoy in the foreground. It appears to be a small lead by May 28, and becomes obvious on Jul 19. On July 24, you can watch a chunk of ice float by on the lead. Toward July 27, the lead appears to narrow. I’m thinking photoshop had a hand in that one. The sub isn’t real; it’s a photoshop lie. I offer the following real photo not only of a sub in the ice, but also three cuddly polar bears hoping that it’s edible. Sorry about being fooled myself and passing it on. One UK sub . Two US subs. Charts at the end break down the anomalies by Region. I was surprised to discover that the data prior to 1900 is largely based on ship observations for the edge of the ice sheet with the assumption that it was solid beyond that point. Climate models based on satellite observations have been developed to project past ice extent. Data from Iceland appears to be the longest running record; a few hundred years. So, past data isn’t available and the only running record we have that’s reasonably sound is 30 or so years old. Based on this, Arctic sea ice observations don’t appear to mean anything. 1) How good of a proxy for general sea ice conditions is area of open water right at the North Pole? We all know that open water can appear anywhere at nearly anytime in the Arctic ice. 2) Skeptics to AGW would like to imply that accurate measurements of sea ice “just so happened” to have started when sea ice started trending down during a period of warming. I always get nervous when I hear of such “coincidences”– especially if the data resulting from this coincidence tends to show something unpopular with certain groups. But if this “coincidence” is the case, what is this down trend is Arctic ice do to, if not AGW? And more importantly, when is the next “up trend” in ice supposed to begin? GCM’s clearly predict the slow year-to-year down trend in summer sea ice in the Arctic, and the general mechanisms are pretty clear, even if all the feedbacks are not well understood. 3) Satellite data clearly shows that 1987 was mostly an above average year for sea ice, with the anomaly line staying well into positive territory the great majority of the time. Using a photograph of open water near the N. Pole in 1987 and trying to read anything significant about the general condition of Arctic Sea ice that year is a pretty weak argument, that seems a bit of a reach to me. I want science and data. 4) If indeed, we “just so happen” to have begun gathering accurate satellite data during a warm period, then we ought to see some pretty strong signs of an uptrend beginning some time soon, or does this downtrend “just so happen” to last until most of us are long dead and buried? 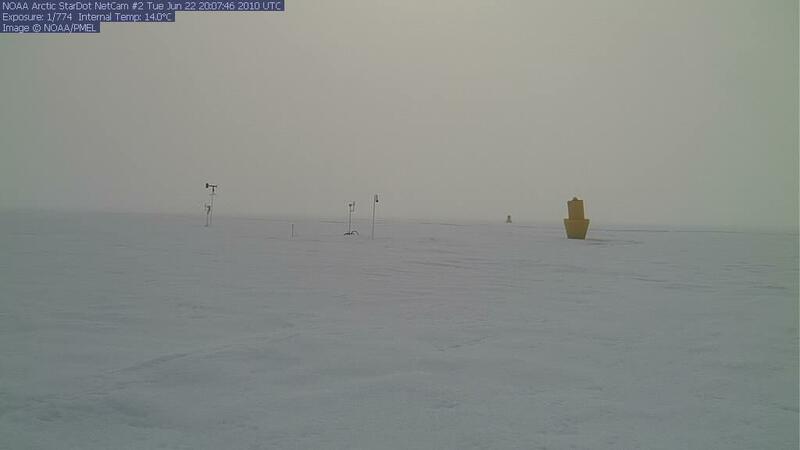 The Arctic Sea ice is THE issue for me when it comes to looking at evidence for or against AGW. Though scientists are looking at many other effects of AGW (such as stratospheric cooling, ocean levels, plankton, acidfication, etc.) which also seem to have merit and plausible physics and chemistry behind them, it seems the state of the Arctic and Arctic sea ice is the most easy to simply look at for the non-scientist. It is either slowly going down over a period of time or it isn’t. So far, it is going down over the longer term. Please don’t show me melt ponds or open water or temps for one season and try and talk about climate at all. That’s all weather. Warmist and skeptics alike are guilty of cherry picking weather to try and prove something, and this is where the longer term anomaly charts, like my one favorite chart from Cryosphere today comes in to play. If you want to get a feeling for the pulse of the Arctic sea ice, just look at this chart. It is accurate real data (not a model and not a local photograph) that spans the whole Arctic across decades. Zoom in and zoom out and get a feel for what the Arctic ice has done these past 30+ years. It is at this level that you can start to see the climate in action, and all the poltical pundantry on both sides falls away. You can see, quite easily that 2007, 2008, 2009, and now 2010 are remarkable years in the Arctic, with wide swings in the anomaly range. This graph reprsents the best “heartbeat” you’ll find of Arctic Sea ice. If AGW hypothesis is correct, or if it is ultimately proven as complete nonsense, if will be most easily seen on this “tale of the tape” as they like to call it. If I was a doctor reading the EKG of a patient and suddenly the last few years came across the monitor, I’d certainly have reason to take a big notice. If the AGW skeptics are right, then we should begin to see a longer term uptrend on this chart at some point (assuming this “coincidental” warm period isn’t going to last until after we’re all dead). If the general tenets of the AGW hypothesis are correct, then we will indeed see a slow spiraling down of year-to-year Arctic sea ice which will end with an ice free summer Arctic some year when most of us reading this are still alive. We’ve not had a positive Arctic Sea ice anomaly since 2004. If the longest and deepest solar minimum in a century couldn’t produce a positive Arctic sea ice anomaly, what mechanism do the skeptics propose will? And take note, even though the Antarctic has been showing a general uptrend over the past few years in year-to-year ice, the Antarctic also has had several NEGATIVE anomalies in that same period. It looks like the skeptics will have to wait at least another year as 2010 doesn’t appear to be the year that this long awaited uptrend will be starting in earnest after our “coincidental” period of warming. question of what the state of Arctic ice was historically by examining polar tree-rings? Contrarian pedants may snarkily point to the absence of arboreal lifeforms in such a region as problematic. This is, of course, a total strawman. The robust symbiosis between temperature and tree-growth is unarguable. In layman terms, as proxies they are as two peas in a pod. Temperature records clearly prove that the accuracy of temperature measurements is inversely proportional to the number of thermometers. Ergo, fewer trees = better results. Dr Mann has already laid the foundations for such a study by carefully documenting the case of the Yamal specimen. Dr Jones et al have already cracked the mathematical challenges of homogenization and teleconnected gridding. CNN and the NY Times just making things up as they go? No… say it ain’t so. The mainstream media is dysfunctional. The straw that broke the camel’s back for me was their failure to uncover any of Obama’s birth records or school records. Not only didn’t they put any effort into finding them they avoided any mention of them of them being concealed from public view. ABC went so far as to air forged documents about Bush’s National Guard service for Pete’s sake and if it wasn’t for bloggers discovering the forgery Dan Rather would be a liberal hero for it. They dug up Bush’s DWI conviction, his grades at Harvard, and every other bit of dirt they could find. They did the same thing to Sarah Palin too. But when it comes to Obama – complete silence and he has far more dirt to dig up than anyone in my memory. Steve, I realize that, I hit the submit too fast. What I meant is you can get skim ice on top of the melt ponds as the temp changes slightly. Even though the sun never sets the temperature does change and so does the sun’s angle. They didn’t have photoshop in 1959, Mar. 17th. Remember the Skate. I read that article when the ink was still fresh. Strike Mann out. Insert Briffa. Mike, being Mike, will just graft on relentlessly. One of the many points we can take from this posting is that we can view the drift as normal, so you can ease up. Another point, that may seem obvious, yet unstated, is that before us is proof the Arctic polar cap has melted in the past. Oddly, we didn’t all die!?! Neither did the Empire State building nor did the Statue of Liberty nor did Singapore nor did Gibraltar succumb to the non-existent flooding we’re told will happen. No floods, no water-world scenarios, nothing happened, life went on and evidently, few took notice. BTW, nice video from Amino Acids in Meteorites @ August 3, 2010 at 3:51 pm If you’re not familiar with the history of the Arctic, you should watch it, while it isn’t comprehensive, it will give you enough knowledge to understand the Arctic ice comes and goes and isn’t at all catastrophic. It is considered scientifically acceptable to extrapolate carefully cherry-picked tree ring data from tiaga over 1200 km away. This technique has successfully passed the peer review process. Steve, if it makes you feel any better the newest satellite up there will start, i hope we can all agree, from a low in arctic ice. It’ll be interesting to see where that one takes us. Have you contacted Cryosphere Today about their comparison tool? A throwaway line from one of the characters in “The Deep”, a new series shown tonight on BBC TV (where else?) as he looked out over a frozen Arctic Sea- ” Another ten or twenty years this ice will all be gone. ” Typical Beeb; they never miss a chance to spread the AGW message. RE: Non-US paypal donations: Paypal and credit card/debit card payments made in dollars are automatically converted from your native currency. The UI computer network is all messed up (amazing, since we did invent the graphic browser, Mosaic!) Not long ago, we had a massive attack of the email system from Chinese servers, which shut the whole bloody thing down. With ongoing budget problems here, network and mainframe maintenance has been a problem. We have undergrads toiling away, trying to fill in for experienced IT professionals. Throw in a holiday weekend once in a while, and stuff happens. I’ll make an inquiry with my UIC email account. After all the attacks we’ve had, the computing centers have tightened up the email filters so that nearly all .com email addresses get rejected to “trash.” Meanwhile, I see that someone has mined up the data with the “Wayback machine” (Internet archive), good going! I really don’t suspect nefarious activity, just Big 10 computing screwup. Sorry about that! Anyone else feel like we’re watching an analogy to the Scope’s Monkey Trial slowly play out? CAGW is simply an arrogant belief system, a “cult of the carbon cow” as I would like to say. No, that URL seems to have numeric data ending a couple years ago. The missing images are the ones used in Cryosphere’s date comparison engine. Sorry biddyb, I didn’t mean to repeat your post at 2.55 ; I hadn’t read it before I jumped in. And you’re right, he did say ten to fifteen years and not twenty as I misquoted. I read “The Arctic Grail” by Canadian historian Pierre Berton about 20 years ago. My memory won’t retrieve much in the way of details regarding the various Arctic expeditions, but certainly one of the main themes was how that ‘one warm line through a land so wild and savage’ (Stan Rogers’ lyric) kept changing over very short timeframes. One expedition would get so far through open water, and report back regarding their route. The next would set out only to find that path blocked by ice. They would find another open route that might take them further north and west, and themselves become blocked, later to report back, if they were fortunate. And so on, etc. I clicked on a couple image links, but got a message saying they weren’t archived. Thanks Anthony and Amino Acids – the John Daly article and videos were great. RCMP explorer Henry Larsen sailed the Northwest Passage in 1940, then sailed it in the opposite direction along a different route in 1944. Gotta love the NYT!! If I had written that piece I’d change my name! May I suggest that the Polar controversy could be resolved by studying polar snowman rings? I suspect that Cryosphere consists of 2-3 scientists and occasional programming help. They were very slow to respond to the satellite issues a couple years ago with the degrading image sensors. They did disable the comparison form the simplest way they could, they took the affect months off the form, you could still craft a URL that produced the comparison. I’ve written them a couple times about a bug in their map of the Arctic but never heard back. Hmm, looks like it got fixed, but probably not thanks to me. When the data first disappeared I suspected a failed disk at igloo.atmos.uiuc.edu that may still be the case. It is a Linux system, FWIW. Maybe it will be down until the end of the month when the students return. I’m not expecting a timely fix, heck http://arctic.atmos.uiuc.edu/cryosphere/ still has the warning “July 14, 2010: Server issues – updating of the above hemispheric images will resume in the next few days.” Those pages have been updating just fine…. It is difficult to compare because they have apparently changed the color key, which indicates the concentration of ice. Compare the key of the 7/22 maps with today’s maps. The old key had 100% as deep purple; 90% as slightly lighter purple; 85% even lighter purple; and 82% as even more light purple. The new key has 100% as deep purple; 90% as a garrish crimson; 85% as a vivid mustard yellow; and 82% as a sickening pus-hued yellow green. I have yet to see any explaination for this dramatic change, right in the middle of a melt season. Surely an adept computor geek can translate the new maps back to the old color scheme, so we can compare as we did before. Steve, not sure what you are trying to say by the above paragraph. Of course at 25 sq-km spatial resolution a region such as you show would be considered ice, but not 100% ice, since the open water areas would reduce the ice fraction in that 25 sq-km pixel. Also, the reason why NSIDC reports regions with more than 15% ice concentration is because comparisons between passive microwave derived ice concentration with visible imagery indicates that a 15% threshold matches well with the visible data for location of the ice edge. What do you attribute these reductions to? Sea ice melting … sea ice freezing. Same old story happening all the time. Nothing to get excited about. Now if we were to start hearing about snowfall rates measured by the many meters up in Baffin Island and other parts of Nunavut, then that’s something to get excited about. The difference between the doctor with his EKG and you with your ice measurements is that the doctor has the very best reasons for believing that the EKG is the key or one of the key indicators of the underlying condition. Those reasons are decades of surgical practice and highly confirmed hypotheses about heart disease and its symptoms. At this time in the history of climate science, all you can do is assume that the condition of the ice is a key indicator of the “health” of global climate. Time, decades, might very well prove that it is, but now there is not one reasonably confirmed physical hypothesis that ties global climate to the condition of that ice. Au Contraire, clearly, you are a brilliant scienpol or policitist. No one said the trees had to grow in the region. They just have to be from the region. Over the last couple of weeks a pretty substantial spread has opened up between NSIDC graphs and other data sources. Both JAXA and DMI have 2010 more than 500,000 km2 ahead of 2007, and NSIDC has it at about half that. DMI is actually nearly 1,000,000 km2 ahead of 2007. Do you have any ideas why the spread vs 2007 is decreasing in NSIDC, and increasing in JAXA and DMI? Was a good indicator for status of the global climate, but merely that it was a good indicator for the health of the Arctic sea ice. Now there are some who might say that as the Arctic goes, so goes the planet, but I’m not quite there yet. I simply choose to watch the heartbeat of the canary for now, seeing if the coal dust is indeed causing irregular heart beats. There appears to be a discrepancy in the NSIDC numbers. Your numbers (and graphs) show a loss of over 8% ice since July 29 – but your maps show a loss of less than 3%. And your graphs do not correlate well with other data sources. This is all part of the loss of the comparison images. Personally, I think the color map on those images was easier for a quick comparison, especially by people not used to dealing with more garish false-color images. The comparison images use the purple theme. Since they aren’t available, I’m downloading the images from the home page, using the “high” color scheme. “Medium” just looks wrong to me, and “low” just looks misleading with dark areas really being quite ice covered. The only thing that has changed in this melt season is the loss of the comparison images. Sure, but this one doesn’t have time. Also, I’d have to start my own archive from the daily images as they go by each day. And write my own comparison tool. And find a better place to store all the images instead of a Comcast “personal pages” server. Feel free to contact Cryosphere and tell them you miss the comparison stuff. I’d be actually very curious to hear both of your answers to this question. I have my own ideas, but your thoughts would be quite illuminating. 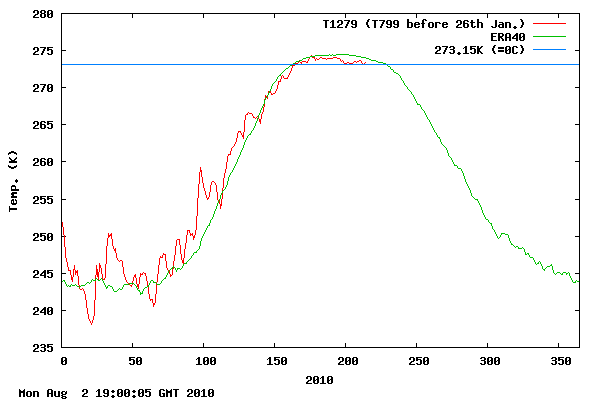 Current trajectory of melt with a good solid 4-5 weeks left will put 2010 right below 2008 and above 2007. Of course anything can happen, but we’ve got lots of warmer than normal SST’s in the Arctic right now, and all that lower concentration ice is now surrounded by warmer than normal water, and I would think the majority of the melt now is being driven almost entirely by water temps. created partially by the rapid melt earlier in the season. I copied the entire UIUC map collection over to my local disk a few weeks ago. I have everything from 1978 through July 4, 2010. The only problem is that they aren’t generating any new maps, so I can’t do current comparisons. The SST anomalies are not the temperatures. That is an entirely different picture. And besides that, the warmer anomalies have been in the same places most of the summer. Well at least you got what I was inferring Steve, unlike Billy Liar. 2007 was a wind event mainly on this blog. Anthony has previously posted that it was wind blowing it out of the Framm straight etc whilst you opt for wind compaction from the Siberian side. So even you both disagree with each other. Assuming you are correct, that the southerly Siberian winds were the main cause then you still haven’t got any figures to show how much compaction occurred compared to how much melt happened from these warm winds. So saying it was mainly wind is just your opinion, because it suits your agenda. I suspect most of the loss was from melting in situe and compaction had a lesser role. Getting back to 2010, JAXA seems to be diverging from your predicted trend line at the moment. I’d be more interested in the water temps very close to ice edge within the basin rather than the 4-5C anomalies being presented in areas outside the basin. How can you accurately measure an anomaly properly when for a signficant number of years the area in question was covered with ice at that time of year. If an area of ocean outside of 80N is ice free fairly early on due to ocean currents, it certainly wouldnt surprise me to see a high anomaly in that area. But I dont think that necessarily points to warmer temps within the basin. One thing that I think lends credence to this idea is that once you get outside the area of normal maximum ice extent, you see much lower anomalies. This suggests to me that the presence or non-presence of ice in a particular area from season to season can distort the anomaly readings. Arctic ice isn’t rotted. There is no alarming thinning. Global warming climate models are wrong. Co2 does not control climate. Nothing unusual is happening in weather. What is happening now has happened before. We are a couple of degrees and a couple of months from dropping below the blue “zero line” on the chart up top. Per Milankovitch, when that happens and we have persistent ice growing at the north pole, the Interglacial is over and it’s back to the ice age for us. Steve, my numbers are the daily values (not smoothed over 5 dayas). As you know, NSIDC uses a 15% cutoff whereas the DMI for example uses a 30% cutoff. So that would be one source of difference. And of course we use different sea ice algorithms, with different sensitivities to atmospheric and snow/ice conditions. I notice the JAXA value is 6.65 million sq-km for August 3rd whereas NSIDC is 6.55. Since both NSIDC and JAXA use a 15% threshold, the differences between the two (100K) must be a result of using different sensors and different algorithm. JAXA uses the Bootstrap algorithm applied to AMSR-E data. The values I quote are from NASA Team applied to SSM/I data. In general, NASA Team tends to underestimate thin ice more than the Bootstrap algorithm so that could be one reason for the difference. But I don’t know what sort of filtering for clouds/land contamination is done in the JAXA data. A comparison to visible or SAR data would be more insightful as to where the differences lie. As long as you use a consistent algorithm and consistent data source, it shouldn’t matter too much in terms of looking at seasonal/interannual variations. I don’t disagree with anything you said, though I wonder why you need to state the obvious. Anomalies are a direct measurement of the relative heat (with a comparision to previous years, hence “anomaly”) available for melting (especially SST’s). One thing you forgot to mention, however, was that anomalies in one domain (i.e. temperatures) lead to anomalies in others (i.e. sea ice area and extent). R. Gates…we’re starting to see the thick, old ice in the Beaufort melt out (lots of old ice broken up into smaller floes) and quite a bit of FYI on the other side of that is also melting out (as seen by the many open water areas in the MODIS and AMSR-E imagery and individual ice floes). Nothing too remarkable in terms of atmospheric circulation this past week that I can see, I think it’s more that the ice is starting to run out of thickness. (…) Current trajectory of melt with a good solid 4-5 weeks left will put 2010 right below 2008 and above 2007. Of course anything can happen, but we’ve got lots of warmer than normal SST’s in the Arctic right now, and all that lower concentration ice is now surrounded by warmer than normal water, and I would think the majority of the melt now is being driven almost entirely by water temps. created partially by the rapid melt earlier in the season. Currently most of the Arctic basin is minus 1.5°C and colder, with most of what’s left running 0 to -1.5°C. Offhand I don’t see those temps driving much melt of that mostly freshwater sea ice. Both NSIDC and DMI had 2007 and 2010 equal at the beginning of July. DMI is now nearly one million km2 ahead of 2007 and growing, and NSIDC has them separated by less than 300,000 km2 and shrinking. There is a huge difference between the two. Regardless, I expect ice loss to drop off sharply after this weekend because of cooler conditions in the Chukchi and East Siberian Seas. FWIW concerning the Cryosphere Today – it is run by one guy who has other responsibilities in addition to maintaining the website. This likely why responses to the e-mails sent to the listed addresses are slow, and why data has been down for some time. Raymond Baxter will be turning in his grave. No offence taken! Wasn’t it a load of rubbish? I do wish these writers wouldn’t treat one like a complete imbecile. It wasn’t just that remark, it was the blindingly obvious signposting of so many “facts” that make you think that you are being given a very obvious lesson. It’s what I call Lowest Common Denominator television; all these Beeb superior types have to teach the proles…………Must be my age. ABC went so far as to air forged documents about Bush’s National Guard service for Pete’s sake and if it wasn’t for bloggers discovering the forgery Dan Rather would be a liberal hero for it. While I know there’s not a dimes worth of difference between the big 3, just a minor correction for the sake of accuracy: Dan Rather and his fake memos was not from ABC but CBS. 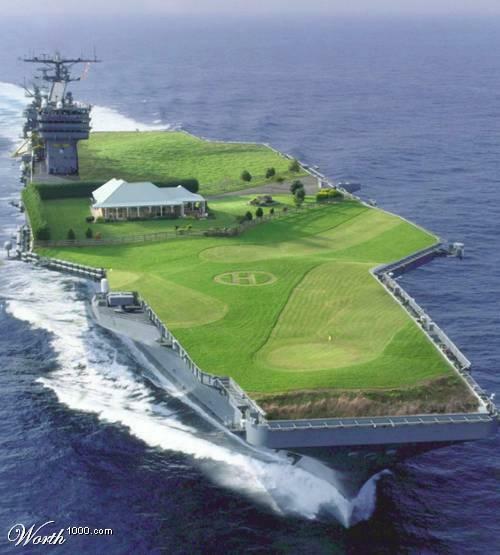 PS: We understand the President is currently on board and braving the elements. The reason I ask is that if one imagines a discontinuity to be possible, and then assumes that discontinuity introduced a downward bias of about 600 to 800,000 km3 in the data, then the recent numbers do not look quite so interesting. That is, the slope of the 1979-2010 ice extent graph would be much flatter and we would probably not be having this discussion at all. The reason I raise the issue again is due to this huge discrepancy that Steve raises between various interpretations of the PRESENT data. Three parties looking at the same data disagreeing by nearly 1,000,000 km3 even though they are looking at exactly the same ice cap on the same day with intense interest? As people are so fond of saying in here: WUWT? Until I saw this discussion, I was just curious. Now, however, knowing how politicized the data interpretation has become in this field, I ask again: IS IT POSSIBLE that the introduction of the AMSR-E data introduced a fairly significant discontinuity to the data stream? I’m no scientist, but I follow the politics of this issue, and there is no question in my mind that, given the opportunity, someone in the AGW camp would attempt such corruption if it would help sell their story. So, all I’m asking is, Is it possible? If it’s not, fine, but if it is, then it just might have happened, with or without intention. One question – in 1987, what happened to the polar bears? I’m assuming that if there was open water at the North Pole, then there must have been a lot of open water north and south of 80N with very little in the way of ice floes that seals need to breed. Did masses of the predatory polar bear populations starve to death? While the seal population was exploding? I agreed with everything you said until you wrote this. 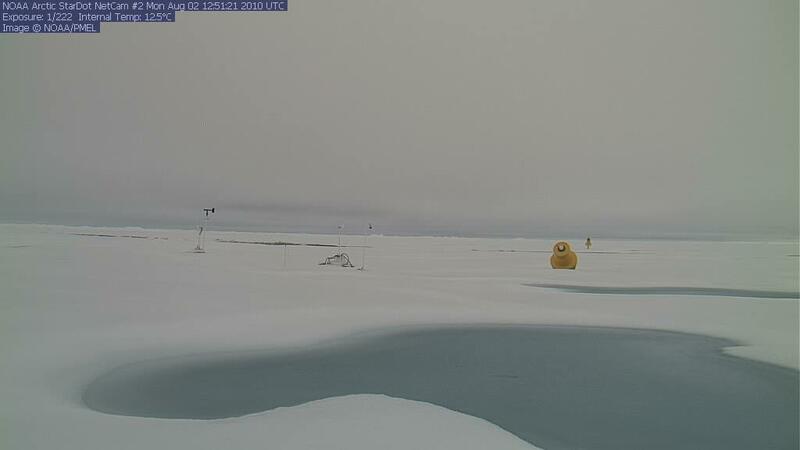 There is no scientific reason to say that arctic ice is the heartbeat of the canary. In fact, the information in this forum should provide plenty of reason to believe that arctic ice is not the heartbeat or anything like the heartbeat. The reports of diaries and the photos on this forum provide overwhelming evidence that the Arctic has often experienced what alarmists call catastrophic loss of ice. The point is that the Arctic’s natural variation swings wider than the alarmists can imagine. They suffer from a failure of imagination and denial of factual reports on natural variation. It’s a reasonable question, but this is the sort of thing that teams of scientists spend years making sure they get right – calibrating new instruments to old ones to make sure they were both measuring the same thing correctly. AMSR-E stands for Advanced Microwave Scanning Radiometer – EOS (Earth Observing System). It is one of six sensors aboard the Aqua satellite, designed and provided by JAXA (the Japanese NASA), contracted out to Mitsubishi Electric Corporation. It is based on a similar AMSR designed for a JAXA satellite, “Midori II” (ADEOS-II) – this satellite had a problem that terminated the mission on Halloween, 2003. I ask again: IS IT POSSIBLE that the introduction of the AMSR-E data introduced a fairly significant discontinuity to the data stream? I’m no scientist, but I follow the politics of this issue, and there is no question in my mind that, given the opportunity, someone in the AGW camp would attempt such corruption if it would help sell their story. Again, since this is a Dr. Roy Spencer sensor project, nobody at WUWT will suggest that AMSR-E data is “corrupted” such that it introduces serious discontinuities in the Arctic sea ice data. A simmilar thought occurred to me the other day as news of a small rubber raft being floated between large chunks of ice into the McClure Straight to find the 150 year old wreckage of the HMS Investigator from 1854 that had been sent to find the remains of the Franklin Expedition from 1845. Just how did those big ships get around by sail on all that never before melted ice at the top of the world? Considering the Investigator did indeed sail the NW passage and the Franklin Expedition got at least part way I’d say there is pretty good eveidnce of melt in the mid 1800′s. Blasting powder and rowboats to tow the ships helped. If you read the accounts of those journeys you’ll get a different impression of what it was like then as opposed to now. Scroll down to see the pictures of the USS Skate at the North Pole in April, 1959. Also postal covers issued to commemorate the occasion of the first submarine surfacing at the NP. I think the graph I linked to, of the historic data of sea ice anomaly could indeed be likened to the ‘heartbeat’ of the Arctic– this is a very appropriate analogy. I was not likening it to the heartbeat of the planet, and I think my earlier post made that quite clear. Of course the the Arctic ice goes through cycles of growing and shrinking beyond the seasonal changes, but nothing there is no historic record of an ice free Arctic in recorded human history, and if this happens, it will be unique. Based on current longer term trends, this will happen while most of those frequenting WUWT are still alive. AGW skeptics would like to think this downward trend is going to suddenly reverse. I’d like them to explain by what mechanism or natural cycle they make this claim. Polar amplification of AGW has been predicted for decades, and now that it really is starting to show itself as a phenomenon, the AGW skeptics seem to want to try to find reasons why it isn’t significant. From a scientific perspective, these leaves me quite skeptical of their skepticism. Pictures of submarines coming up in open water at a single point in the Arctic during a year (1987) that the actual valid data shows we had higher than average sea ice over the Arctic seems like the same kind of rediculous attempt to disprove AGW when weather conditions combine to bring snow to Florida. Valid satellite data shows that 1987 was generally a higher than average year for Arctic sea ice. Open water at the N. Pole (which can happen nearly anywhere in the Arctic at anytime) is not indicative of the condition of the ice over the entire Arctic. Furthermore, the thickest ice in the Arctic is NOT traditionally right at the N. Pole, but tends to build up further south, along the N. Canadian and Greenland coast as it piles up from the normal rotation of the ice pack. From a time when change meant opportunity, not fear. Why’d ya chop off the end of the quote from the Skate where he says “We came up through a very large opening in 1958 that was 1/2 mile long and 200 yards wide. The wind came up and closed the opening within 2 hours. ” ? And, “Almost 200 years ago”, how did the polar expeditions fare, when they tried to actually explore the arctic sea areas? How correct was “the President of the Royal Society (when he) wrote this to the admiralty”? Anyway, great to see the anecdotal accounts on a science site. 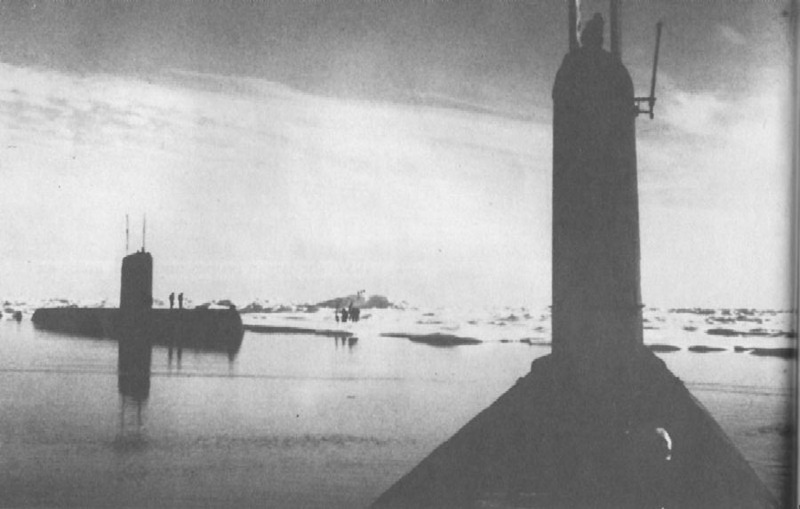 A photo of the USS Skate at the North Pole in March 1959 can be found here. http://www.navsource.org/archives/08/08578.htm I was only 9 years old at the time but recall that it was a well publicized acheivement. Even if there were some kind of difference / miscalibration between the older satellite data (SSM / I) and the newer one (AMSR-E), this isn’t responsible for the downward trend. NSIDC stuck with using SSM / I even after AMSR-E was launched, precisely in order to ensure continuity of methodology. Sites like the IJIS and Bremen sites that present AMSR-E data don’t go back beyond 2002 (when it was launched). To my knowledge, the *only* site that mixes SSM / I and AMSR-E data is the low-resolution Cryosphere Today comparison maps: i.e. the ones that have just gone offline that Steve keeps complaining about. A couple of years ago, this particular archive transitioned to using AMSR-E data after having historically used SSM / I data. Given that the low-resolution images are intended for visualisation only and not for actual analysis, I’m not sure they cross-calibrated the two series quite as intensively as they could have. Certainly the data after the changeover seem to show higher concentrations than the data from before the changeover – Steve keeps using this to claim that 2010 has higher concentration than 1980. Given that it is *only* this archive that seems to show this, and this is the only archive that mixes data from the two satellites, I would treat that claim with considerable caution. Further note: the ROOS site (http://arctic-roos.org/observations/satellite-data/sea-ice/ice-area-and-extent-in-arctic) shows the same rapid decline in the last couple of weeks that can be seen at NSIDC, and which is at odds with Bremen / IJIS data. This perhaps indicates it’s a difference between SSM / I data and AMSR-E data, since both ROOS and NSIDC use SSM / I. Different cloud / melt pond / open water regimes may affect the two sensors differently? What is really bothering me about the NSIDC graph is that it doesn’t correlate well with their maps – which show 2010 well ahead of 2007. Note how those ponds haven’t changed much, if anything they’ve gotten icier looking and smaller. Oh, I didn’t know Miami was getting that cold. Maybe we’ll get to see Horatio Caine in a winter jacket soon. If you trim the URL, you can see the archive index ( http://arctic.atmos.uiuc.edu/cryosphere/IMAGES/ ), but hitting a link goes 404. Interesting, and of questionable utility. Heck, those look too big to be ponds. I’d call ’em puddles. Why is it bad if the ice melts? When you dig a hole in this region you dig up animal remains everywhere. “The current tunnel was excavated just north of Fairbanks, Alaska in the early 1960’s by the U.S. Bureau of Mines. The official reason for construction was to evaluate mining and construction methods in frozen soils. But the dig exposed a treasure of geological formations, animal fossils and ancient plant remains. Bones and teeth of bison, woolly mammoth and horse from 14,000 years ago protrude from the tunnel wall, literally frozen in place and time.” (from National Geographic) Why is what was not a disaster 14.000 years ago al of a sudden the end of the world? Guess the animals disappeared because of lack of food which a warmer world provided. Now, you are talking. You have my attention. Show me the physical hypotheses which, when combined with statements of initial conditions, imply predictions about future states of the Arctic [Polar amplification of AGW]. If you can produce them, you will have produced the first set of physical hypotheses that imply predictions of climate. In addition, you will have produced the first ever prediction made by a climate scientist. Mann could make retrodictions only. I await with baited breath!!! High-resolution (250-meter) visible imagery from the NASA Moderate Resolution Imaging Spectroradiometer (MODIS) sensor vividly shows the loss of the old, thick ice. A chunk of old ice has broken away from the main pack and come to rest along the north coast of Alaska, east of Point Barrow, where it has begun to melt in the warm shallow shelf waters. While cloud cover obscures some areas, it is clear that the old ice floe has broken up into many smaller floes. Whether this old ice will completely melt out by the end of summer will depend to some extent on weather conditions. However, smaller floes melt more easily than consolidated ice. This behavior is becoming more typical of the ice pack as the ice thins. Barrow! Barrow played an essential in previous analyses here. What does this event at Barrow Point tell us about the rest of the Arctic? And why do we have to hear important news such as this somewhere else? LucVC, might we worth caring since we now have nearly 7 billion people on the planet so that large shifts in climate have the potential to affect the lives of billions of people. It’s about caring about each other. Changing the energy balance of the Arctic changes atmospheric and oceanic circulation patterns, which means changes in the distribution of water on the planet. Obviously, this was written by a very nervous summer intern. Contrary to the intern, I would not say that whether the ice melts “will depend to some extent on weather conditions.” Can’t we say with absolute certainly that it depends entirely on weather conditions? Or maybe climate science has discovered that melting of ice is independent of temperature, wind, sunlight, and natural stuff like that. After all, looking at weather does take one away from the computer. What I find most puzzling about all of this is the way people can ignore that there are both documentary & archaeological evidence stream to say that Greenland was producing grain from about 800ad to 1200ad. Those areas are now under permafrost and we’re expected to believe that somehow this is a 400 year localised warming period! Were planetary dynamics somehow suspended for 400 years? Sorry, I don’t buy it! As for our 25% sceptic, you don’t have a sceptical or enquiring bone in your body. Sorry, that’s just the way I see it! When Mr Gates is inevitably wrong, he thinks he is absolved by his fake contention that he is “25% skeptic”. We all know it’s just an alarmist tactic. Either someone is a true scientific skeptic, or they’re a True Believer. There is no middle ground. 25/75 is just a fudge factor. There are pages and pages of well documented expectations for the effects of AGW. But I maintain 25% skepticsm anyway, just to make sure that I’m open to some new discovery about some previously unknown longer term cycle that could be causing the 20 and 21st century warming trend, other than the 40% in CO2 we’ve seen since the 1700’s. Only a True Believer could think there is no middle ground as they can’t see it. Those who live in the middle ground know it well. As for my Inquiring mind…I dare say there probably not one area of science that I’m not completely fascinated by. But you and I have tussled before on this 75/25 point Smokey, and I know it rattles the cage of your life to think that someone could believe that the AGW hypothesisis is likely correct without being an “alarmist”, or whatever other negative phrase that the supposedly “reasonable” skeptics want to place on those like me who can find room for both belief and skepticism in our minds. Do you really have no idea how offensive it is for you to assign me homework? What school of arrogance are you from? If you understand the hypotheses, or some of them, and can state them in your own words, please do so. If not, then why are you trumpeting your “predictions?” A sad truth about the blogosphere debate on AGW is that Warmista just love to assign homework. To me, what that proves is that they do not understand what they are saying, they have no response to make when asked for their hypotheses, and they hope that they can evade the matter by giving a homework assignment. I will say it one more time: the only physical hypotheses that AGW proponents have produced are found in Mann’s hockey stick, but those hypotheses are very low-level, are good for retrodiction only, and employ Mann’s invented statistical methods. Everything else coming from AGW proponents can be deduced from the characteristics of the CO2 molecule, known in the 19th century, and the theory of radiation. None of that involves even one reasonably confirmed physical hypothesis about actual effects of various CO2 concentratins on Earth’s atmosphere. Climate science is in its infancy. Theo, you have said what I have wanted to say, and probably have, but not with nearly as much elegant phrasing. Successful scientific debate technique excludes the use of “talking down to one’s opponent”. Warm air invading the Arctic can be explained by atmospheric global circulation modeling (IE short and long term weather events and oscillations) arising from natural causes. Warm water invading the Arctic can be explained by oceanic global circulation modeling arising from natural causes. That CO2 can have a measurable (IE outside the noise) effect on these two circulation components of our Earth’s environment requires several assumptions. One of those assumptions is especially tenuous. It is oft repeated by AGW’ers that the historical increases in temperatures found in proxies prior to the industrial age were of course natural but are now anthropogenic. I can’t begin to tell you how unscientific that statement is. The Arctic Dipole is one such argument that often gets this unscientific treatment. It has occurred in the past from natural causes but now it is related to anthropogenic CO2. An assumption is not a scientific argument, let alone a hypothesis and certainly not a theory. The assumption must fall back on natural causes till proven that the natural causes no longer exist. No one I know of has managed to prove that natural weather pattern variations no longer exists. My apologies for any offense taken by you. I find such statements as there is not “even one reasonably confirmed physical hypothesis about actual effects of various CO2 concentratins on Earth’s atmosphere” as cause to make me wonder if we even inhabit the same reality. How can you assert this when we’ve seen several confirmed physical hypotheses, from Arctic sea ice loss and permafrost melt, to stratospheric cooling? What exactly have I missed here? All these were predicted and have certainly been reasonably confirmed. Perhaps the point we differ on is the level of what is “reasonably confirmed”. You certainly don’t mean 100% iron clad linkage, as of course that will never happen. Or perhaps the difference is the linkage to CO2? I never mean to insult, and links are only meant to provide clarity of my position and background. For example, if I showed you a picture of a submarine coming up in open Arctic water as proof for or against anything, that would tell you one thing about me, versus giving you links to scholarly research. How can you assert this when we’ve seen several confirmed physical hypotheses, from Arctic sea ice loss and permafrost melt, to stratospheric cooling? What exactly have I missed here? All these were predicted and have certainly been reasonably confirmed. Those “confirmed physical hypotheses” are the results of a warming trend, for which multiple natural causes have been proposed. Then it is presumed this is anthropogenic since mankind has been active lately, for which several mechanisms of anthropogenic warming have been proposed. Then it is presumed that CO2 is to blame as the atmospheric concentrations have continued to rise while the historical temperature records were showing warming. Thus through the layers CO2 was selectively picked as the root cause, Global Climate Models were constructed that only work when CO2 concentrations are figured in, CO2 is confirmed as being the root cause as the GCM’s constructed only work when CO2 concentrations are figured in, and evidence of a warming trend is cited as further confirmation of CO2 being the root cause. But Professor Phil Jones recently agreed there has been no statistically-significant warming from 1995 to the present. He also indicated that from January 2002 to the present the temperature trend has been negative although he did not find it to be statistically significant. Meanwhile the atmospheric CO2 concentrations have continued to rise, indicating that increasing CO2 concentrations may not be directly linked to temperature, while certain people, including 25% skeptics, continue to assert a direct relationship between CO2 concentrations and evidence of a warming trend because the GCM’s as constructed need to factor in CO2 concentrations to work. Yup, truly an exemplary display of the scientific method at work there. Very clear and concise response. I’t helps me get a better idea of the heart of the issues that skeptics truly have with the hypothesis of CO2 induced AGW.